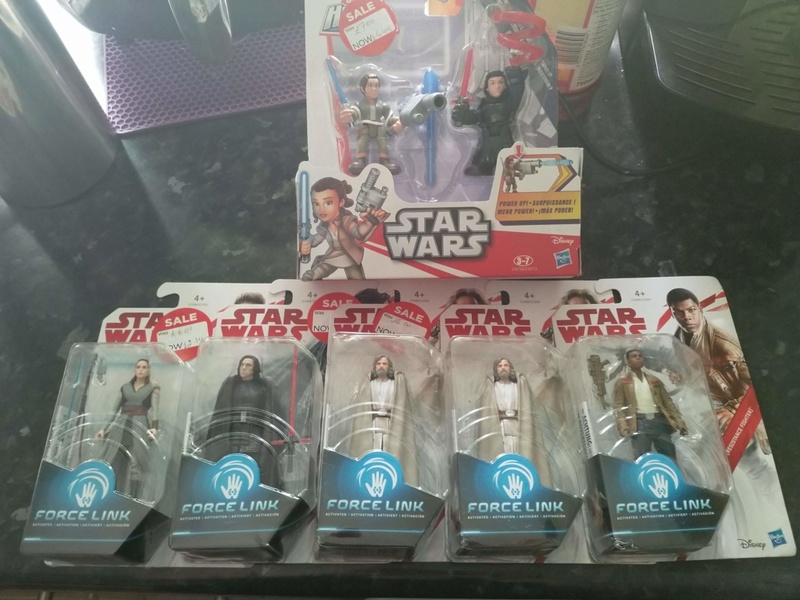 I can't find a thread about SW merchandise not specific to the ST.. If I've overlooked it mods - apologies. Thought I'd share something I just came across. For me - one of the funniest pieces of merch I've seen!!! How's this for a costume! 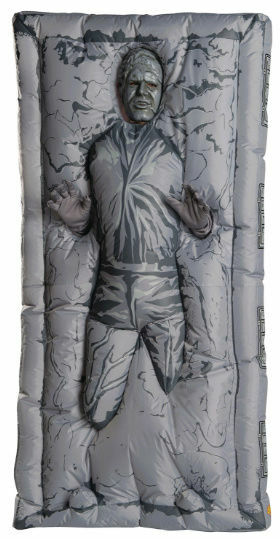 "Become embedded in carbonite like Han Solo with this inflatable costume!" 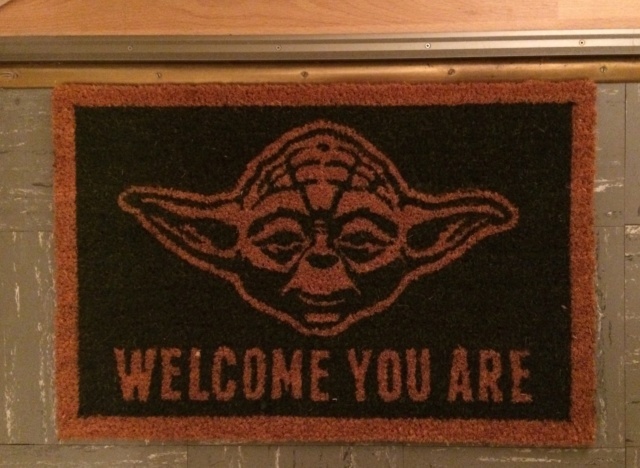 Got any random, off the wall, plain wrong, awesome SW merchandise you've come across? 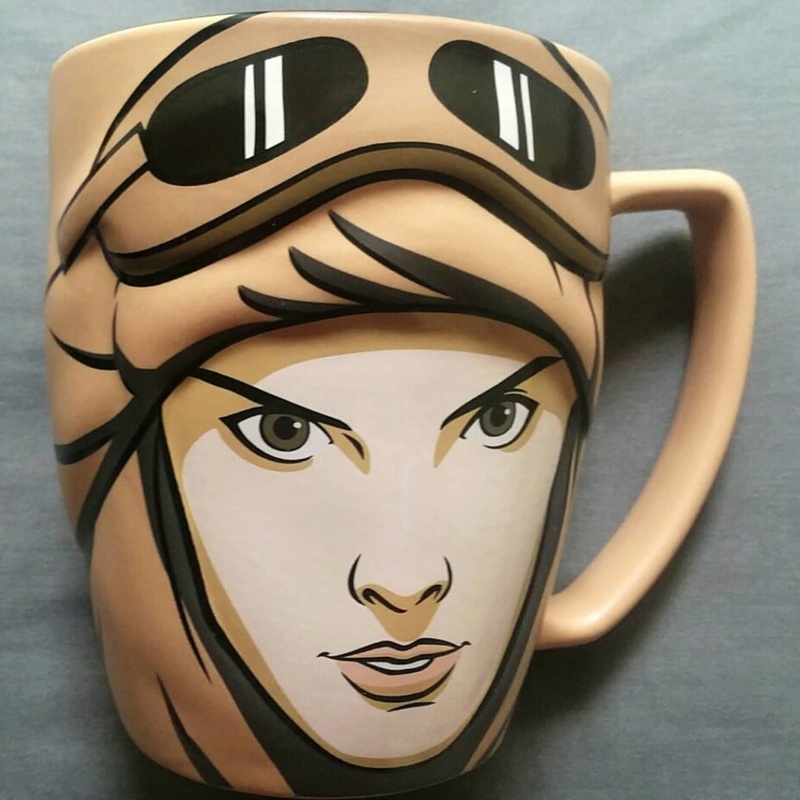 I received a mug just like Daisy for my birthday! It arrived today. 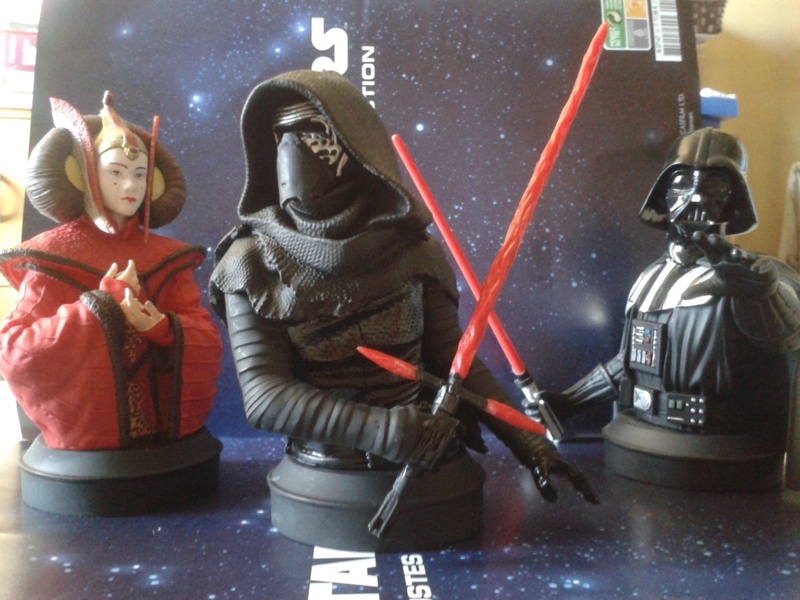 Finally I could reunite Kylo with his grandparents! That is a priceless piece of merchandize. 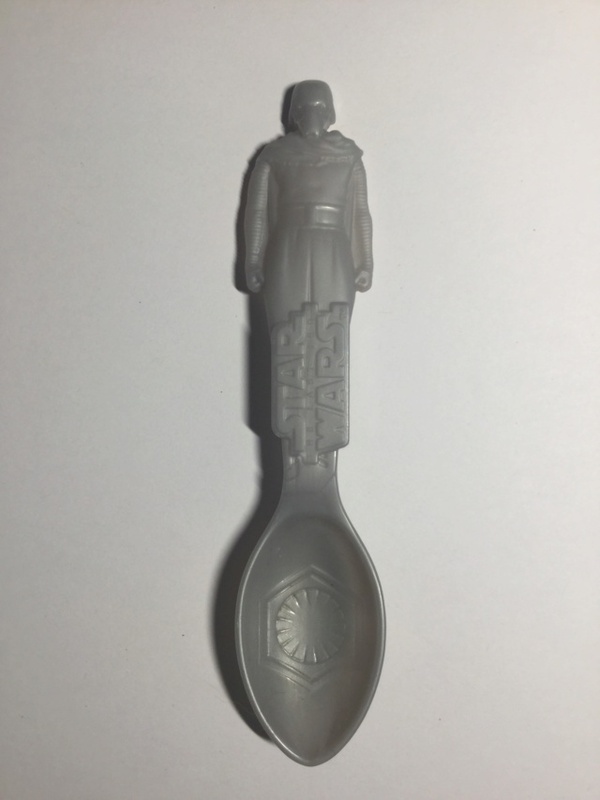 A friend in the US held on to that spoon for weeks (months even) waiting for me to visit him this summer. That’s true friendship It was in a box of cereals or maybe with ice cream, I cannot remember. It is light grey at room temperature and turns dark grey when cold. I put it in the fridge, it works. How cool is that? 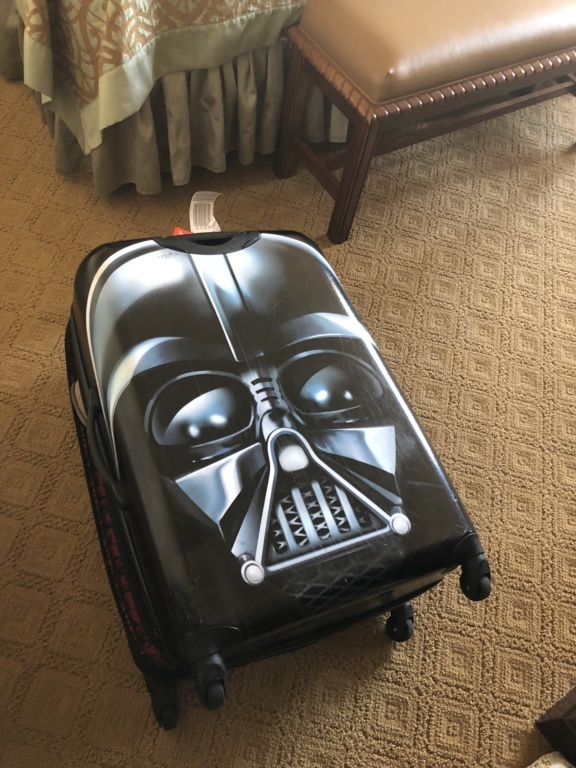 When I was checking out the cashier said something like "Ooh so cute, someone's shopping for a Darth Vader fan!" And then she was like... "Wait is this stuff for you?" and I totally pulled a Will Smith "Nah, girl psssh"
I said it was for my niece. But I am an only child. Ugh. 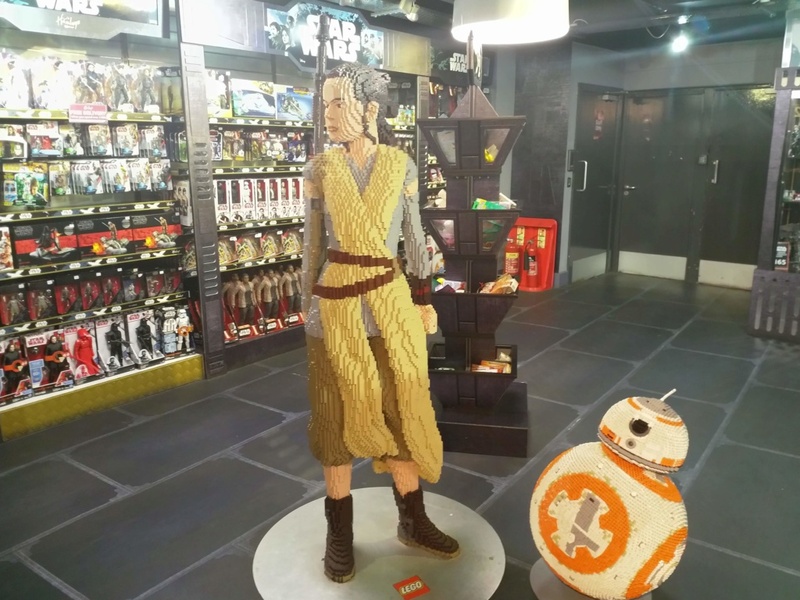 But I didn't get it because I'd already hit my spending limit on SW nerd stuff. Maybe next time. You're lucky, I wish we had something like that in my country. The best we had were tiny lightsabers during the prelogy era. Now there are no toys in cereals boxes. Yeaah, for some products we have to say it's for children, but at least you say it was for a girl. 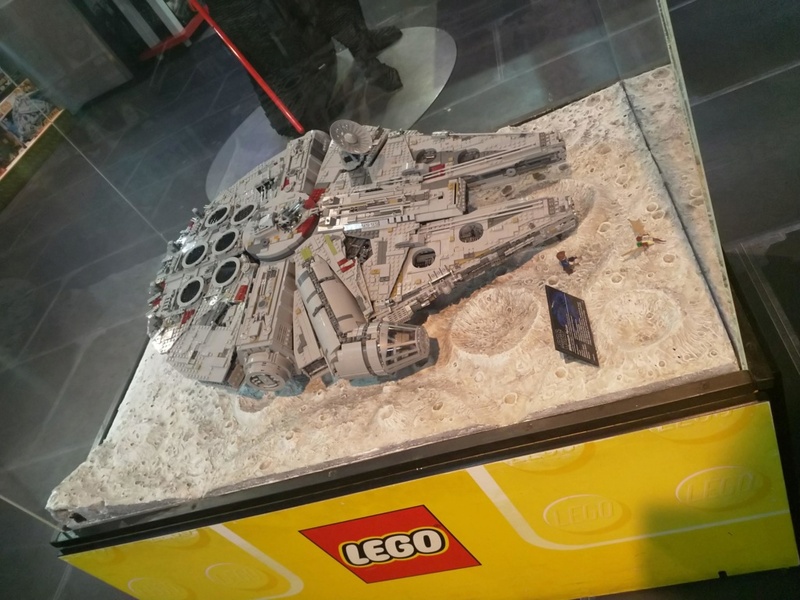 This little Chewie is really cute, it's the first time I see it. 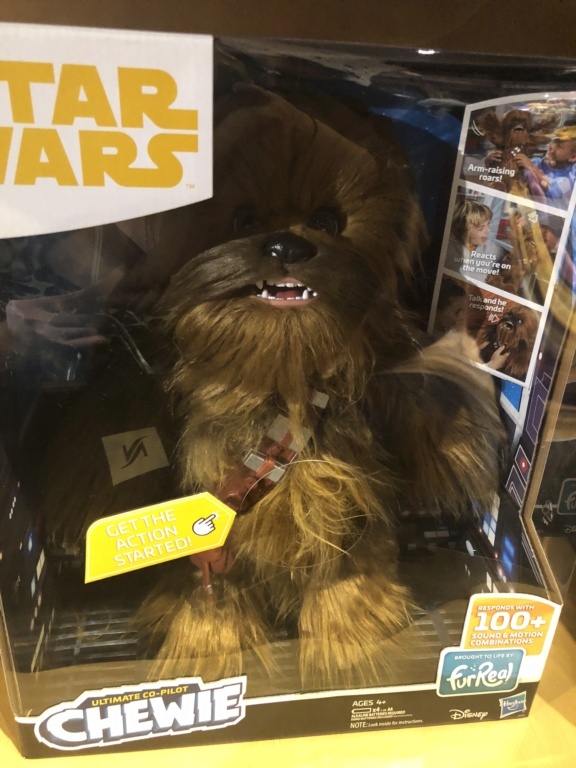 That Chewie plush I am struggling not to buy it. 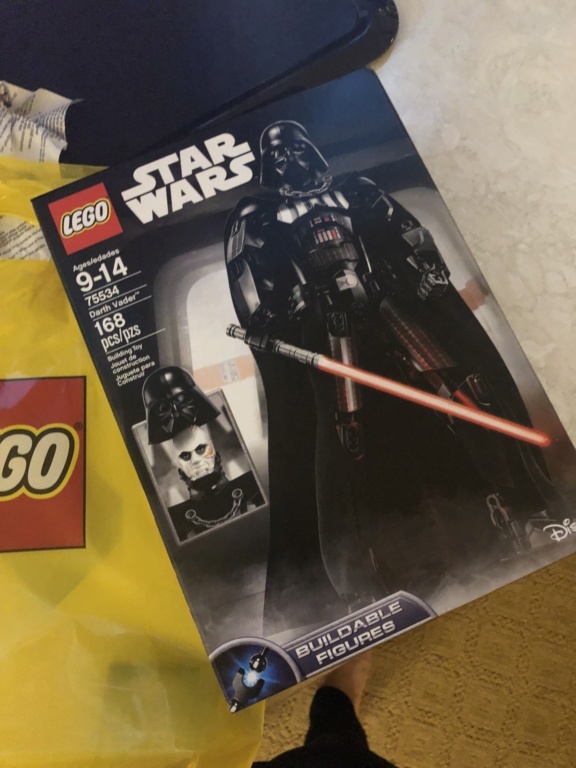 I have passed it a few times in stores and until now I’ve been strong but for how long..
And I try to avoid looking at the Lego buildable figures because they are so much fun to build, that I would buy them all and I want to limit now the amount of SW stuff. Merchandize is addictive. 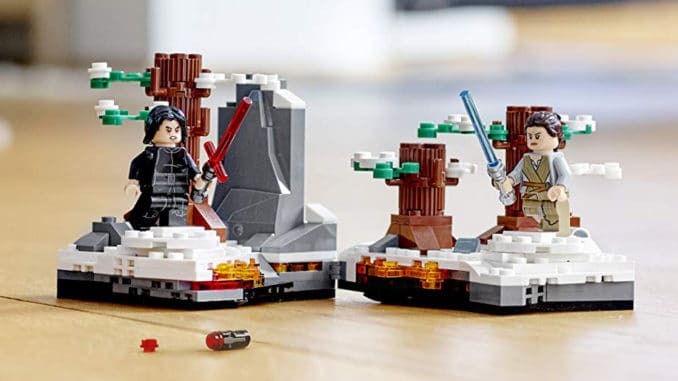 I’d pay though just to build the figures and then give them back to the store. LF: if you read this, this could be a new business model. @SanghaRen wrote: I’d pay though just to build the figures and then give them back to the store. You writted it right from my mind. (Kidding, kidding, I like Star Trek too. If he hasn't see it, show your friend this video, he should like it. 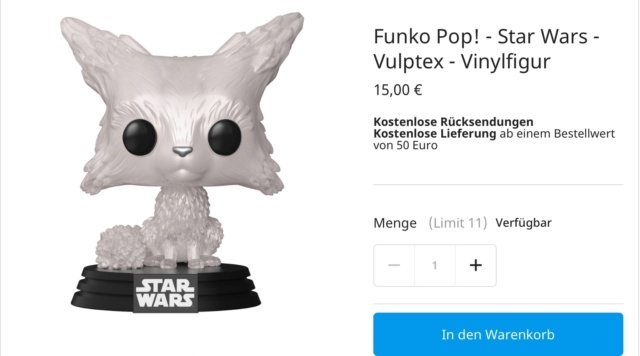 And so it starts with the Vulptex. 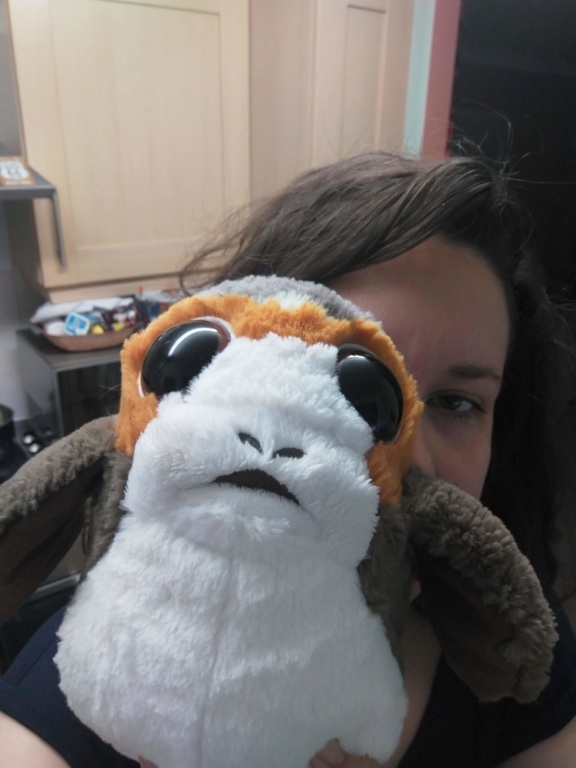 Please don’t, LF, I am already resisting buying the fathier plush. @SanghaRen aaaaaaah this is seriously cute! i wonder if the hairs are added or if the yarn is shaggy? it's insane to crochet with shaggy yarn, so adding them in later in probably makes more sense. @guardienne wrote: @SanghaRen aaaaaaah this is seriously cute! Maybe you can ask. Apparently she has no pattern and improvised. 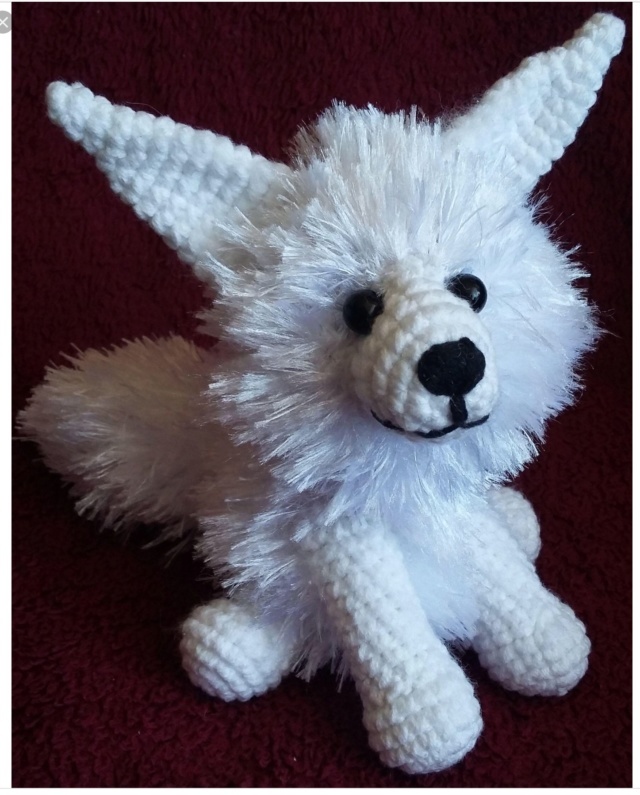 Looking closer, I wonder if the head and body are pompoms, but then how do you fix/sew the nose and legs to the pompoms. I don’t think that would work. I found some patterns (have to pay to download which I did not) for crocheted furry cat bonnets using shaggy yarn so I guess it is an option. This is going to bug me now. I can see how I’ll buy some yarn to give it a try and end up with yet another unfinished project lying around *sigh*. 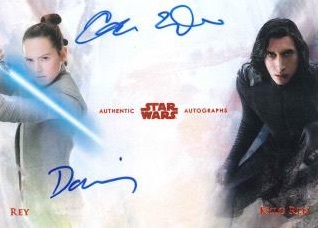 If one of you don't know what to do with 9 000$, you can buy 2018 Topps Star Wars Stellar Signatures to have a chance to get the ultimate reylo card. 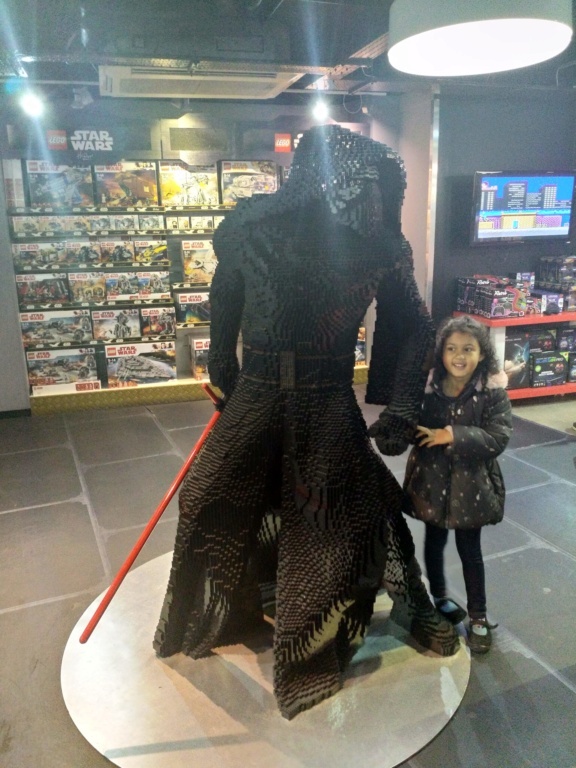 Porg, Star Wars legos at Hamley's, and other lego fun. Nice one. 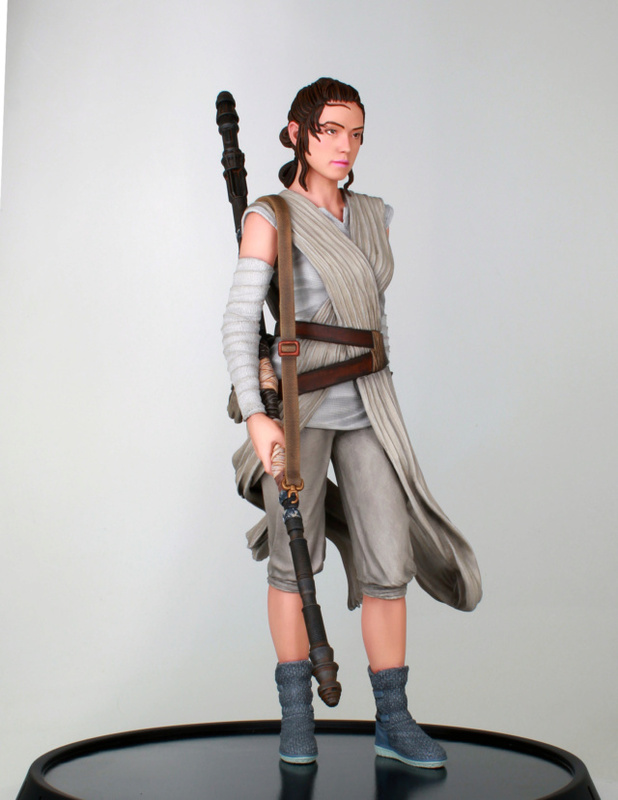 It does look like Daisy Ridley which is not a given seeing the amount of Rey figures that look nothing like her. Not sure if I like the wild strands of hair in her face, but it does set the figure apart from others making it dynamic. My reputation is really done at work. 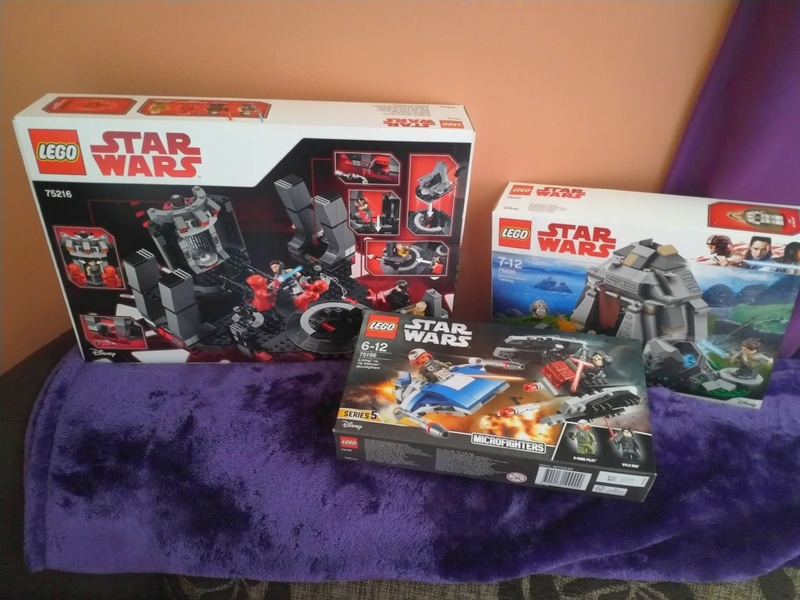 A colleague went to see the Lego movie with his son and they received 2 Solo cups. 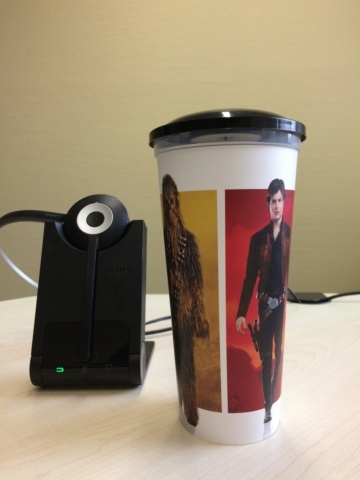 He gave me one that I have now on display on my desk: Slim!Chewie and Slim!Han. 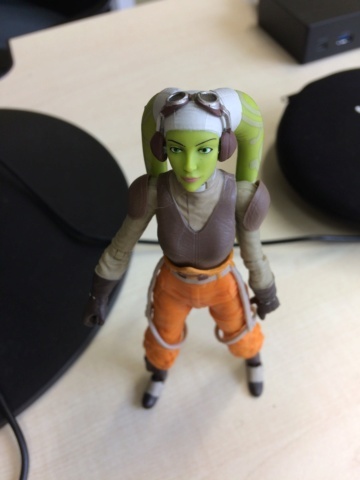 And I brought Hera to the party to inspire me to remain calm.